New Zealand Whey Protein Concentrate from Grass Fed A2 Cows. An increasing number of dairy cows are fed genetically modified grains in feed lots enhanced with hormones and antibiotics to increase milk production. They are also are raised in a confined area. Fortifeye Super Protein is derived from year round grass fed free range New Zealand A2 dairy cows. This protein is free from pesticides, hormones and antibiotics. Grass fed A2 cows produce the highest quality milk, which contributes to our New Zealand whey protein concentrate. Science is proving that A2 cows are a better source of milk than A1 cows. Learn the latest on A2 New Zealand cows. Dr. Michael Lange and Fortifeye Vitamins researched the best possible dairy cows to use when developing Fortifeye Super Protein, a non denatured whey protein concentrate. It was concluded that year round grass fed New Zealand dairy cows met that goal. 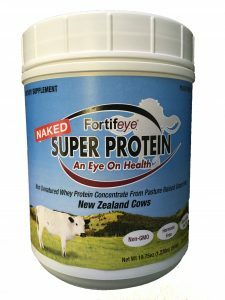 Fortifeye Super Protein is a non denatured whey protein concentrate from grass-fed New Zealand A2 cows. Fortifeye Super Protein is great for Anti-Aging! 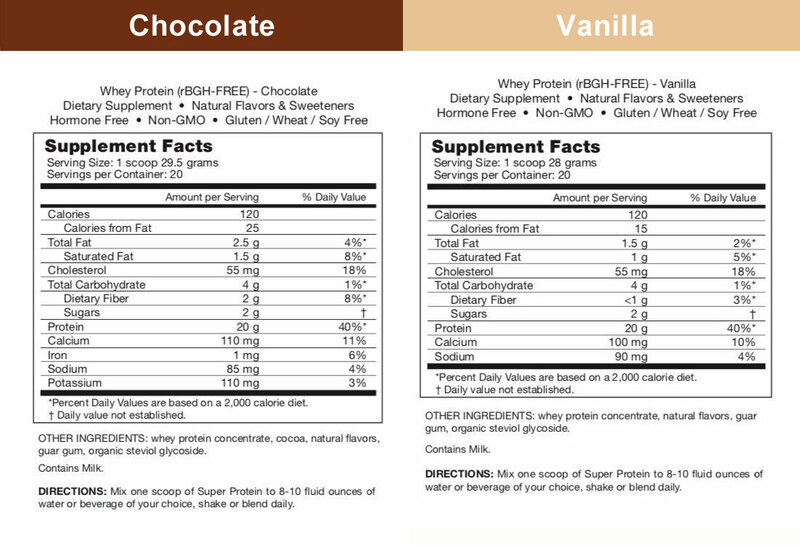 This protein has an all organic flavor system, making both the chocolate and vanilla flavors delicious and ready to mix with any liquid. An undenatured or non denatured whey protein concentrate from grass-fed New Zealand cows is significantly different from most traditional non pasture raised or partial pastured whey protein concentrates. 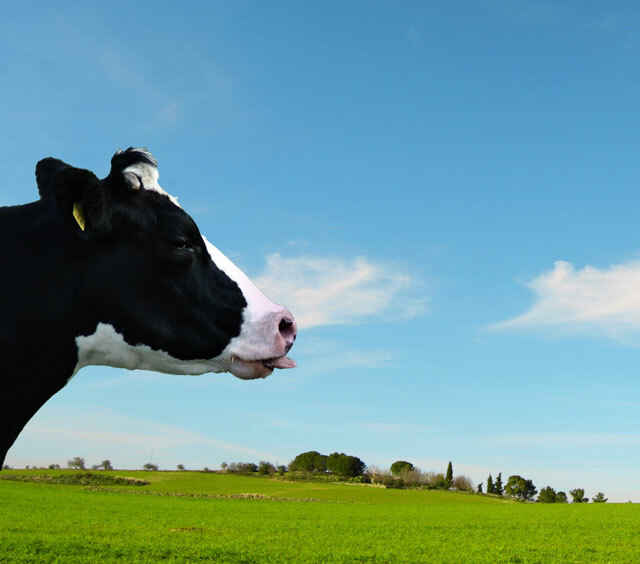 Grass fed cows will typically have 60% or higher omega 3 content in their milk versus non grass-fed cows milk. This higher content is crucial since the typical diet is pro inflammatory and already too high in omega 6. Drinking a milk protein higher in omega 3 will promote wellness and help the body fight off inflammation. Consuming a whey protein concentrate with a higher ratio of omega 3 to omega 6 is a step in the right direction of anti aging. Grass fed pasture raised cows are much higher in a very important fat called conjugated linoleic acid (CLA). CLA has some enormous immune system stimulating properties and positive health benefits. Studies indicate that CLA may also have some anti-diabetic and anti-cancer benefits, as well as be beneficial to heart health. Grass fed pasture raised cows have up to 500% more CLA than non grass-fed cows. New research proving CLA is great for the heart and other potential diseases. A bioactive non denatured whey protein concentrate like Fortifeye Super Protein is the best way to stimulate the master antioxidant and detoxifier in the body called Glutathione. Non denatured means the protein has not been heated or altered. The key amino acid, cysteine, combines with glutamic acid and glycine to make glutathione. Glutathione levels continuously decline as we age and Glutathione deficiencies are linked to many illnesses and diseases. Replenishing glutathione levels by consuming a whey protein concentrate is recommended by anti aging doctors all over the world. Lactoferrin, another key immune boosting component of whey protein, is a globular glycoprotein that has many potential health benefits. New research indicates that lactoferrin may have antiviral, antibacterial, antifungal and possibly anti carcinogenic effects. Other relatively new research indicates people with dry eyes may have lower than normal levels of lactoferrin in their tears. Dry eye treatment with lactoferrin? The future of natural dry eye treatment may involve supplementing with a good grass fed whey protein concentrate. Whey Protein is the fastest, most bioactive form of protein known to man. Whey protein has the highest biological value (BV) of all food grade proteins at a BV of 104. Whey Protein is high in a specific amino acid called leucine, the “Mack Daddy ” amino acid for stimulating muscle synthesis. Whey protein is far superior to casein, soy or any other protein for muscle synthesis. You can clearly see that the addition of a good non denatured grass fed whey protein concentrate may be beneficial to your overall health and help to promote a healthy immune system. Fortifeye Super Protein, combined with organic fruits and veggies, in a smoothie is a great way to start the morning. To maximize your workouts try a pre-workout drink using Fortifeye Super Protein blended with coconut milk or almond milk, blue berries and a banana and a post recovery workout drink within 30 minutes of training would benefit from a scoop of Fortifeye Super Protein and a wedge of watermelon blended with organic chocolate milk. 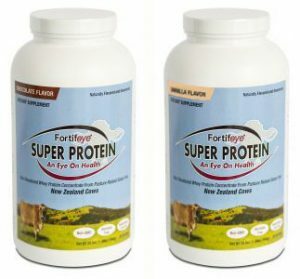 Order your Fortifeye Super Protein online or purchase from a physicians office that carries Fortifeye Supplements.